cryptonaut-in-exile: Bait is for the weak. 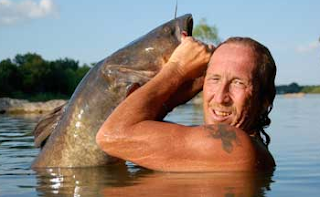 Looks like catfish noodlin' is more prevalent these days. I wonder if gar have fallen out of fashion, or were noodled to extinction?